While ruled a "Suicide", the Marilyn Monroe death facts seem to indicate that she may have actually been a murder victim. Born in the year of 1926 on June 1st, this famous movie star's original name was Norma Jean Mortensen. From the year 1935 to the year of 1937, she lived in an orphanage. However, immediately following these years, she was moved from one foster home to another until she married at the age of 16. In the year of 1944, she appeared on her first magazine cover and it was just four months later when 20th Century Fox offered her a position on film. It was at this time that Norma Jean transitioned into the glamorous Marilyn Monroe. In order to understand the Marilyn Monroe death facts, you must first understand a little about her personal life. In the early part of the 1950s, it was believed that she was having an affair with the notable political figure John F. Kennedy. Once Kennedy became President of the United States, Peter Lawford, who was his brother-in-law allowed him to secretly meet with the beautiful Marilyn Monroe. 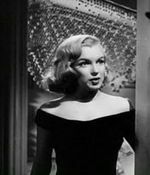 Unfortunately, it is believed that the Mafia of the time had bugged the home of Lawford as well as Marilyn's home in Hollywood. On the 19th of May in 1962, the affair ended but Monroe’s connection with the famous Kennedys did not. As time progressed, Marilyn became very close to Robert Kennedy, John's brother. Their relationship became so strong that it was said that Robert was going to file for divorce so that he could marry Marilyn. The beautiful actress was told many secrets. When reviewing the Marilyn Monroe death facts, there is a strong belief that these secrets could have lead to her demise. Mostly because of the fact that she had told close friends about the secrets. There were people that did not want secrets being told about them, and people that should not be made aware of the secrets. On the 27th day of June in the year of 1962, the housekeeper that worked for Monroe stated that Robert Kennedy visited her home. Throughout the day prior to her death, Marilyn Monroe engaged in many activities. In the middle of the morning, she scheduled a dinner at her home. Several close to her reported her as being depressed and sick. They felt as if she may have taken pills or another type of drug. In the early afternoon hours, it was reported that Robert and what appeared to be a doctor entered her home by a neighbor close by. This same neighbor apparently received threats and directions to keep quiet about what they witnessed. This is a very important detail in reviewing the Marilyn Monroe death facts. Once the two men left, Monroe's doctor, Dr. Greenson, was called to the Hollywood home. His report stated that she was "Anxious" and "Somewhat Drugged". He remained in the home for nearly three hours. Between the hours of approximately 5:30pm and 6:30pm, the son of the famous baseball player, Joe DiMaggio, called to speak with Marilyn but the housekeeper informed him that she was not at the residence. At nearly 8:00pm, Monroe called Dr. Greenson. She informed him that she had finally taken the call with Joe DiMaggio Jr. He reported at that time that she seemed in a much better mood altogether. Around 8:00pm, Monroe informed her maid that she would be retiring for the evening and she went into her bedroom with a telephone. At 11:00pm that night, a man informed Monroe's press agent that she was dying or could be dead. He dropped his wife off at their home and went to the Hollywood home immediately. He failed to return home for over 48 hours. At the same time in which this occurred, it is said that Marilyn called Peter Lawford and said her goodbyes. When he arrived at the home, he apparently discovered what to be a suicide note that had been destroyed. By 2:00am, an emergency response team was summoned to Monroe's home. When reviewing Marilyn Monroe death facts, this is the point in which things get really interesting. The paramedics claimed she was alive and received treatment at the hospital in Santa Monica – but there are no physical records to indicate this. At 3:00am the housekeeper contacted Dr. Greenson as she did not receive a response from knocking on the actress's door. He told the housekeeper, Eunice, to call the doctor Hyman Engleberg and stated he was on his way. Greenson called emergency personnel workers. He looked through her window and saw her in her bed, so he broke the window to gain entry into her bedroom. This is when he found her dead. Over the course of an hour, the Marilyn Monroe death facts inform us that the other doctor arrived, one of her popular lawyers called Peter Lawford, and then the police were finally called to the scene. A SGT. Clemmons found the story to be very curious. While it appeared that she had taken approximately 50 pills from her prescription bottles, there was no glass of water anywhere in sight. Furthermore, there was no suicide note – which is very common in such cases. In the autopsy, no pills were found in the body – only a substance called "Chloral Hydrate" and "Nembutal". A large bruise was found on her back too. Despite this, her death was ruled "Suicide". Interestingly enough, two days following her suicide, she was scheduled to have a press conference in which she was to release all sorts of information to the press. The police report and other documents, including her diary, that contained vital information and Marilyn Monroe death facts was moved and still has not been found. Was Marilyn Monroe murdered or did she commit suicide? This may be one of the greatest unsolved mysteries of all time when it comes to unsolved crimes in the United States.